First stop, Ocho! 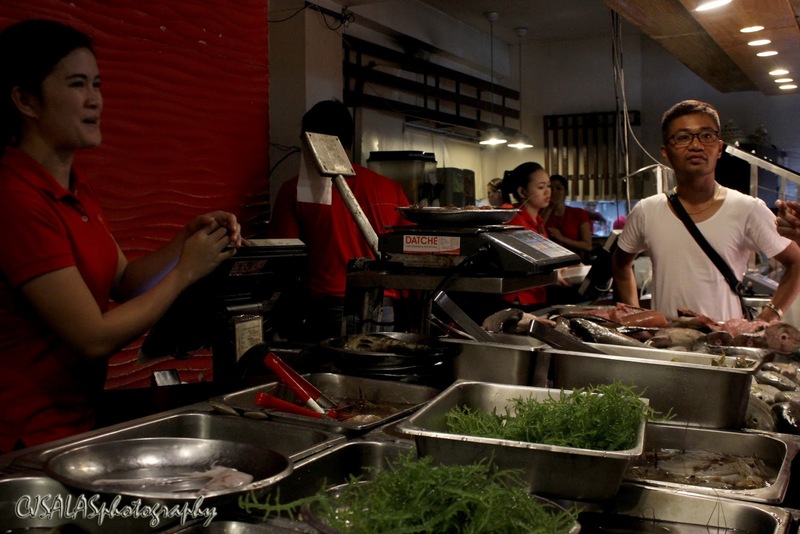 It is a seafood and grill dining establishment in Tacloban City where a lot of people flock to have a meal of the city's freshest seafood. You will even see some live ingredients ready for cooking! 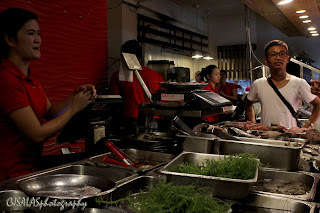 There are four (4) viands we ordered: (1) gambas, (2) porbidang kangkong, (3) buranday, and (4) grilled fish. This gambas, a shrimp dish, is a good one. 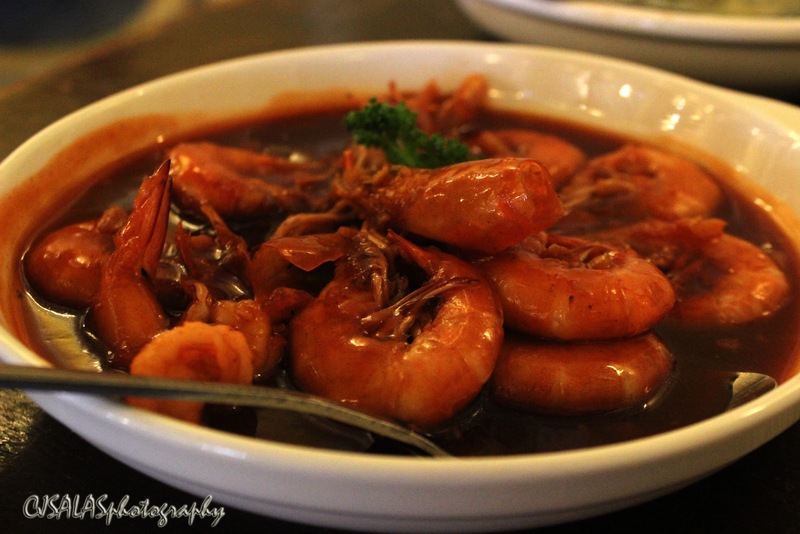 Yes, the shrimps are cooked almost to perfection, soft and not gummy. Though I was trying to taste a kick of a spice from the dish, it has less of that. 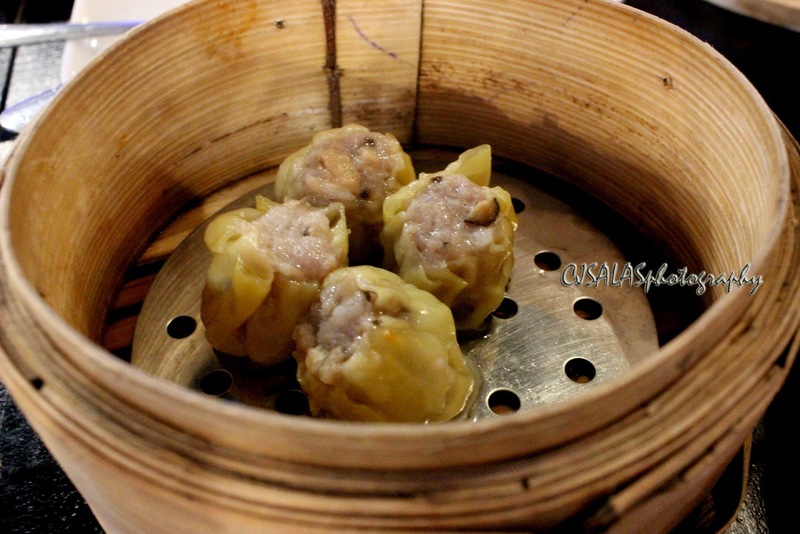 Still a good dish to eat! This dish made me laugh because of the name - porbidang kangkong. Why? It because in a Visayan term, "porbida" can be equated to cursing. Anyways, this dish is good, too! 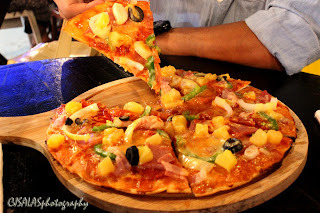 Sus porbida, lami ni sya! (Damn, this dish is good!) 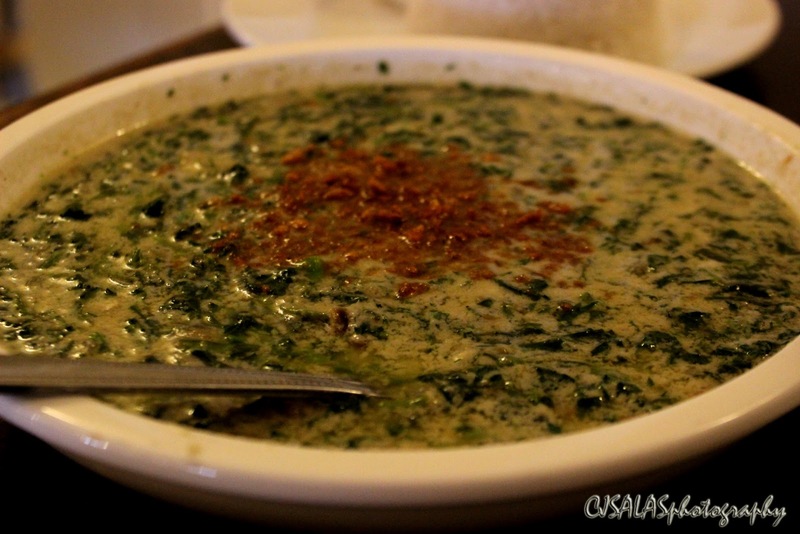 It has a spice, with coconut milk and kangkong. 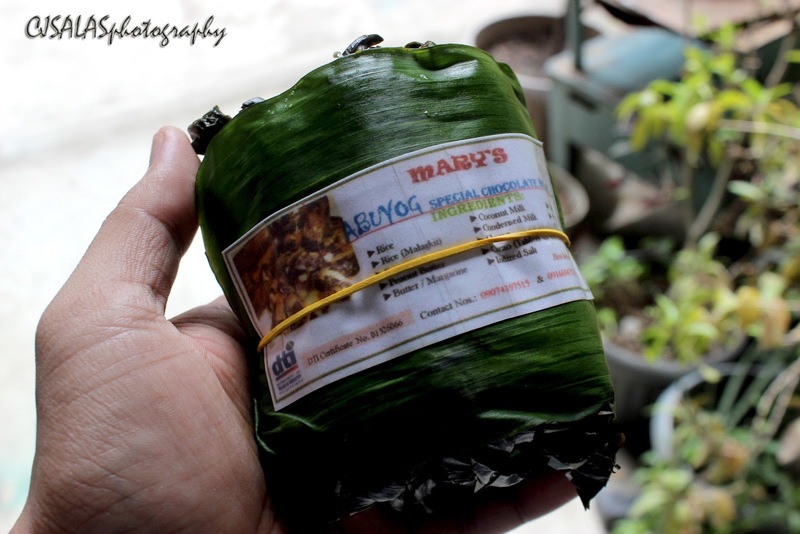 It can be compared with a dish in Bicol like the laing but not wrapped and using different leaf. This dish is perfect! This is called buranday. It is a soup dish with sea shells. I really love such a dish. It is very fresh and there's that sweetness in the soup. 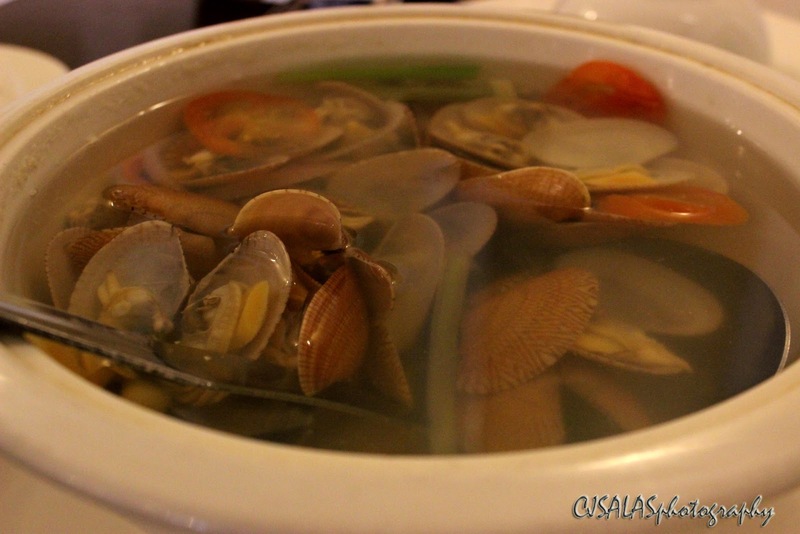 This is similar to what we call back home as imbao, also a soup dish with clams. This dish is also good. Yes, the fish meat is grilled perfectly with some sweet taste of its freshness. 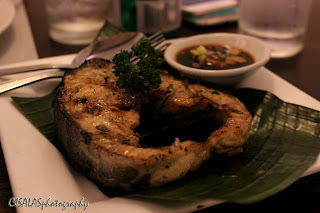 Indeed, dining experience at Ocho Seafood and Grill is a must when in Tacloban City. They have more in the menu and we have only what we can finish. I have a very happy tummy after that very delicious lunch. Another special place for dining is at Yolanda's. The place is just at the bayside in San Jose, Tacloban City. It is also flocked by people with their fresh seafood! We ordered three (3) viands: 1) kinilaw, 2) fish tinola and 3) sweet and spicy shrimps. The kinilaw. 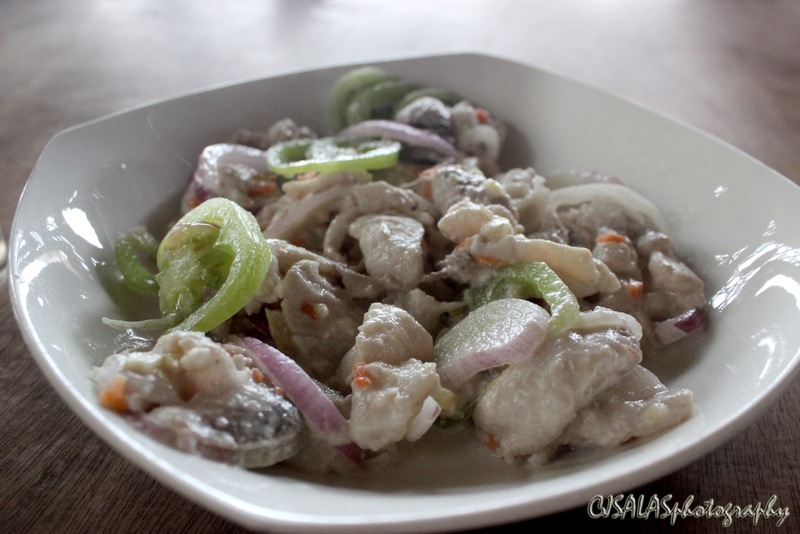 It is a dish of raw fish soaked in vinegar with coconut milk. That's the version in Leyte which is interesting. 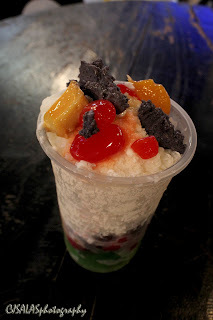 Surprisingly, the taste is really good and the coconut milk creates a balance of mix - sweet, creamy and tasty. Usually, kinilaw has the raw fish and some spices with seasoning soaked in vinegar in Mindanao. This is a winner! 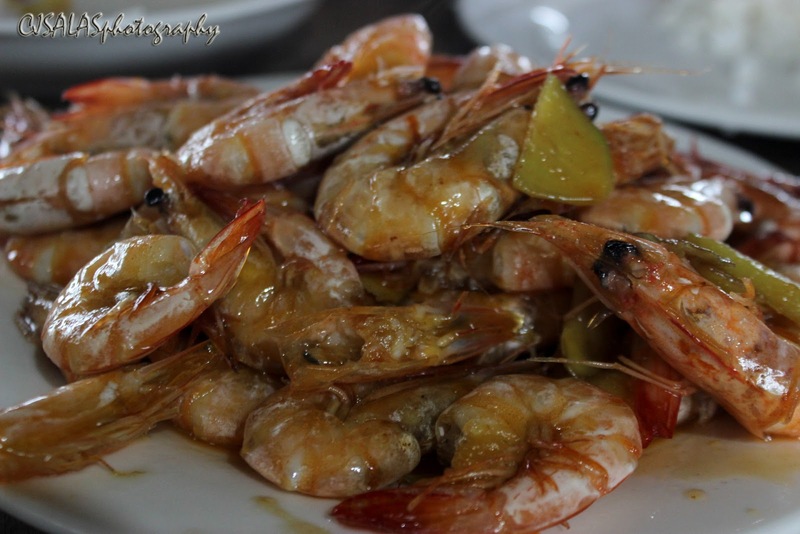 Yes, the shrimp is sweet and spicy, but the sweetness is brought by the freshness and I think some lemons. 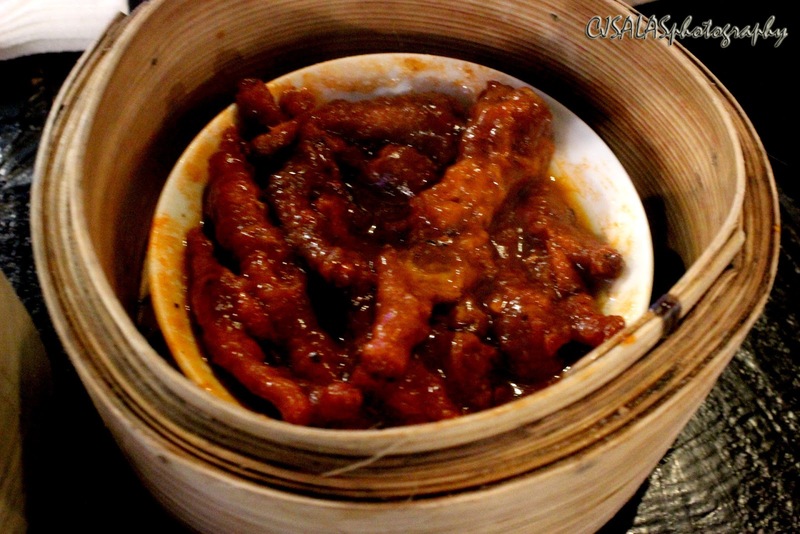 Indeed, this dish will not allow you to stop until the plate is finished. It's really a tummy filled experience in Yolanda's. Soon, they will be relocated because there are efforts of putting a long stretch of water breaker dike by JICA. 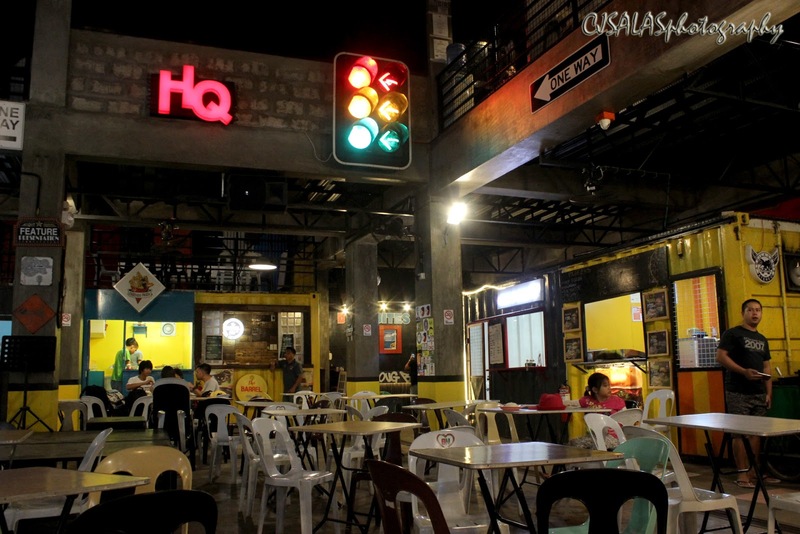 One of the newest places to dine in Tacloban City is the HQ. 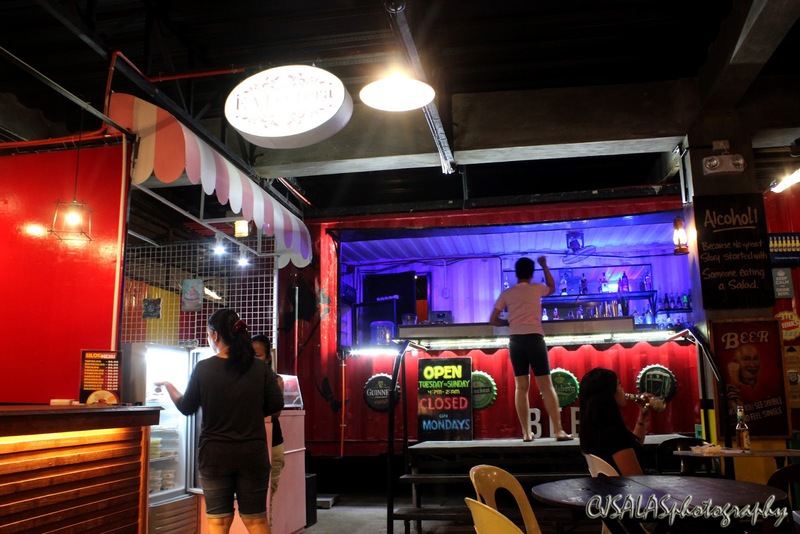 It is a food park alongside the Ang Waray Partylist Headquarters. We went there at one night time. These are also good food in HQ. There's a lot of food stalls to check and order for food. 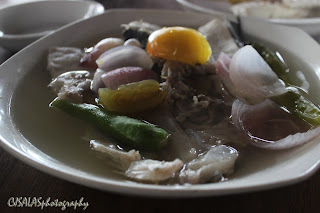 It is really a great deal to cap off the food tripping in Tacloban City, Leyte Province. 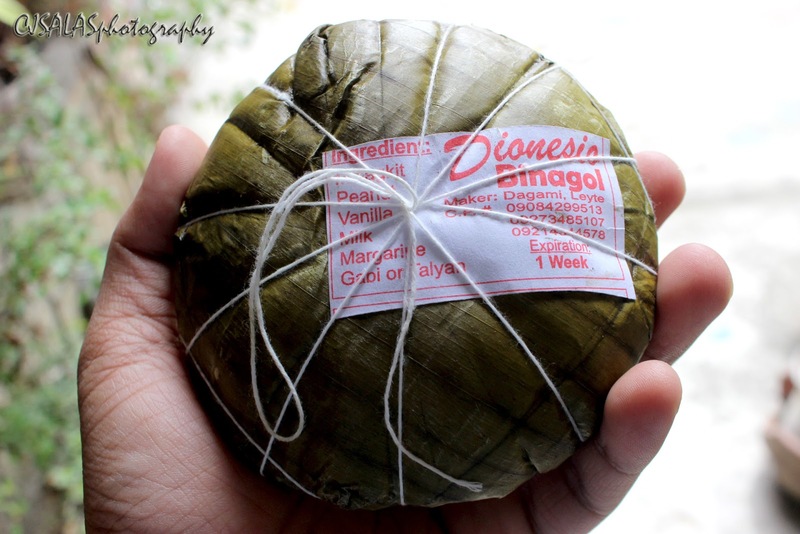 There are also some good food items you can bring home with you, such as the morong and binagol. These are available at Daniel Romualdez Airport. These are kakanin - made of glutinous rice and other sweet ingredients. I hope you enjoyed this post, hope you'll share it to your friends, too!